Photo courtesy of Creative Visions. Looking for something new to watch on Netflix? 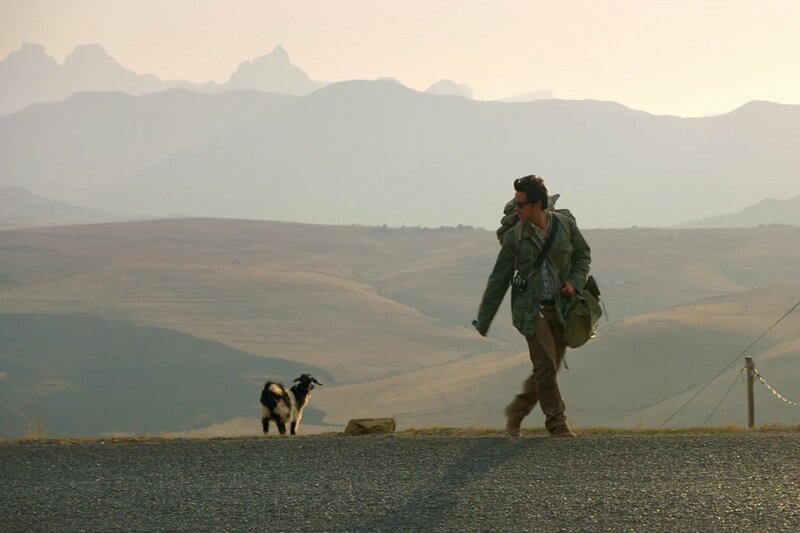 The Journey Is the Destination, a biopic on the late Dan Eldon — activist, artist, purposeful tourist, and photojournalist — is set to stream November 7. Gentedimontagna's Daniel Schwartz went behind the lens with filmmaker Kathy Eldon to talk about her son and the deeply personal movie she made about him. may inspire you to travel with purpose. The feature film tells the story of trailblazing Reuters photojournalist Dan Eldon, who, in his short but highly engaged 22 years, touched the lives of many around the world, particularly in eastern Africa, where he grew up and spent most of his life. 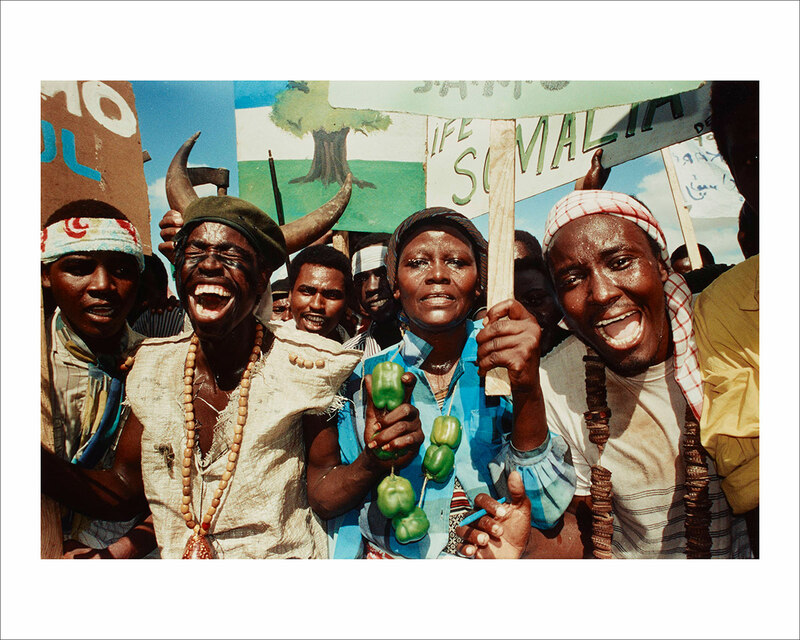 Eldon is best known for his coverage of the famine and civil war in Somalia in the early '90s. 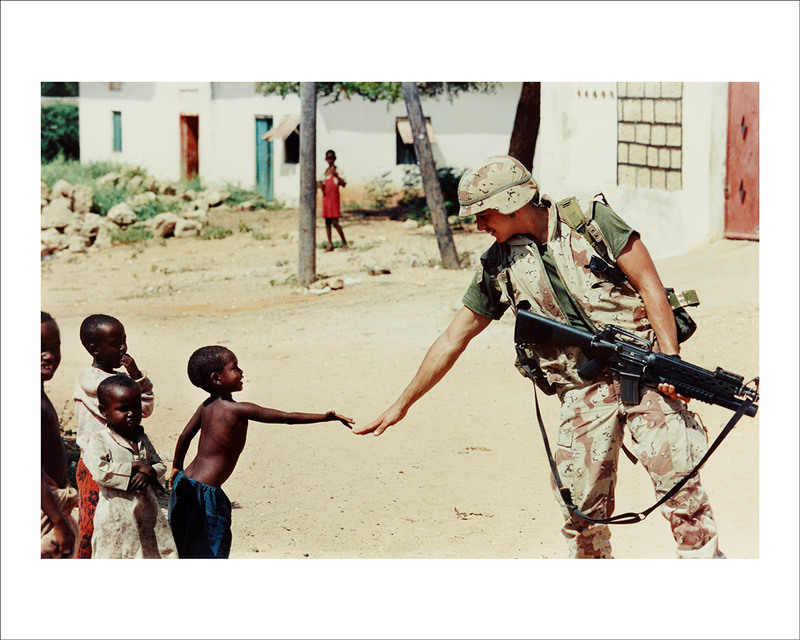 His photographs of Somali children, printed worldwide, helped jumpstart a United Nations aid mission. An itinerant artist, activist, and champion of human rights, Eldon is celebrated for the safari relief missions he led with contemporaries like Christopher Nolan, Jeff Gettleman (New York Times), and Elinor Tatum (New York Amsterdam News), most notably to support Mozambican refugees in Malawi. 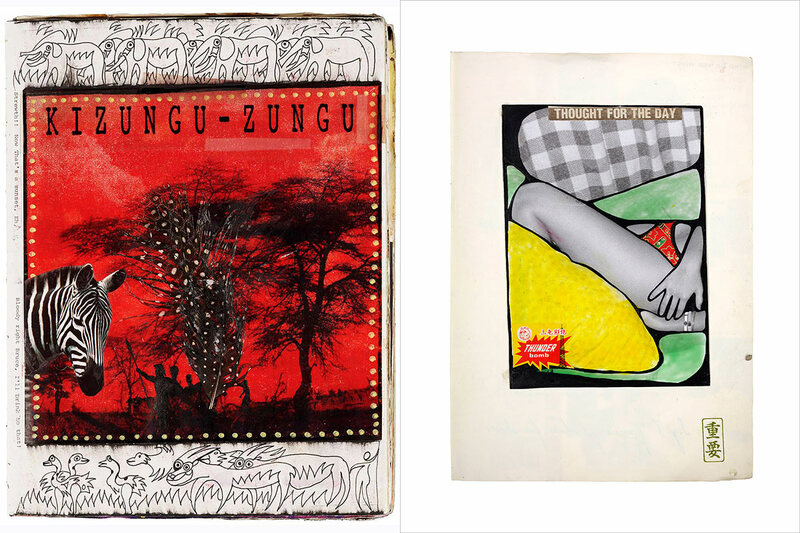 He was also known for his personal journals, scrapbook art pieces documenting his travels to more than 40 countries. Though Eldon (along with three other journalists) met an untimely end at the hands of an angry mob in Mogadishu in 1993, his spirit lives on in books, photographs, documentaries, and this new feature film, which portrays the last few years of his life and touches on contemporary issues around refugees, international involvement in humanitarian crises, the role journalists play in reporting the news, and the responsibility we have as global citizens to affect change. His mother, journalist, filmmaker, and founder Kathy Eldon, made it a mission to tell his story and inspire others. The movie is two decades in the making. She agreed to speak by phone about the meaning behind it. Photos courtesy of Dan Eldon Estate. Tell me about the moment you decided to make this film. Within ten minutes of hearing about Dan’s death, I knew I wanted to make a film that would both inspire people to engage with the world around them and shed light on the lives of journalists and the risks they take when reporting the news. At Dan’s memorial service, I turned to former Reuters editor-in-chief Mark Wood and said, “I can’t have these deaths be in vain.” So I moved to Hollywood in 1993 to make this feature film. Twenty-four years later, and here it is. Is there anything people should know before watching this film? It’s fine to go in blind, but I wish we had done a better job of making clear that, though the movie is based on a true story, it is not a documentary. Regarding feedback that this is just a story of kids with money — of course Dan was privileged, but the whole intention of his life was to engage, understand, share, and give back. It's a very personal movie. Do you have a favorite scene? When Dan calls me on my birthday during a brief rest in Nairobi before returning to Mogadishu, where eighteen Pakistani peacekeepers had recently been murdered (01:29:00 - 01:32:38). I ask him to come home, he responds that he can’t because his job isn’t done, and I tell him I’m proud of him, no matter what. Dan applauded my courage when I decided to leave Africa following my divorce, so it was important that I respect his decision. We don’t always love what our children do, but we have to allow them to have the life they choose. It was a moment of understanding. And it was our last conversation. I wanted that in the film. "He was just an ordinary guy with an extraordinary view of the world." Dan was so full of life. What scene best captures his character? Dan was tender, had a great sense of humor, and really saw the essence of people, encouraging them to be the best versions of themselves. But he shouldn’t be put on a pedestal. He was just an ordinary guy with an extraordinary view of the world. I like the scene where Dan chases down the young Somali boy who stole his bag, then returns him to his family and befriends them all (01:15:00 - 01:20:39). Those moments were normal. He would sleep on twigs while visiting his surrogate Masai family on weekends. He would play with kids near the hotel where he was stationed at in Mogadishu. He was unselfconscious and could diffuse almost any situation. The tragedy is, he couldn’t go up against the mob. What do you think the idea of travel meant to Dan? Dan penned a mission statement, “Safari as a Way of Life,” in which he described an outlook that focused on seeing the world through the eyes of a child, wandering off the beaten track, and prioritizing the journey over the destination. In other words, travel was his way of life. That’s reflected in his journals as well. He was bored during his fitful summer in Morocco, but that’s when he made some of his best art. It was an inner exploration, a safari of the soul. In his words, the only difference between being lost and exploring is connection. That’s what he sought out. At the refugee camps in Malawi, he found people who supported and cared for each other, even though they had close to nothing. I’m sure he’d encourage us all to make our own mission statements. What do you want to give more of your life to? What do you care about? What do you love? Artwork courtesy of Dan Eldon Estate. What do you hope people feel after watching the movie? The last scene, where kids carrying torches light a commemorative flame, is meant to celebrate the sparks that Dan lit in others. I want the movie to spark others to change the world around them. Not the whole world. Just what’s around you. That’s more doable. We are in the midst of a change in consciousness triggered by what’s happening in our world. Are we going to get off our backsides and light our own flames? We should be caring about future generations, but first we need to pay attention to our own. As travelers, photographers, and storytellers, what can we learn from Dan's journey? You don’t have to go anywhere far-flung, like Somalia, to find stories worth sharing. They are everywhere around us. We can all be citizen journalists and storytellers. We just need to start sharing. Don’t make excuses about money. Tell stories on social media, and if there is something bigger there, then think about next steps. Get cracking. Carpe diem. If you’re on the fence, move towards the light and away from those who deplete you. We need more light, love, and understanding in this world. That’s what travel is all about, isn’t it? 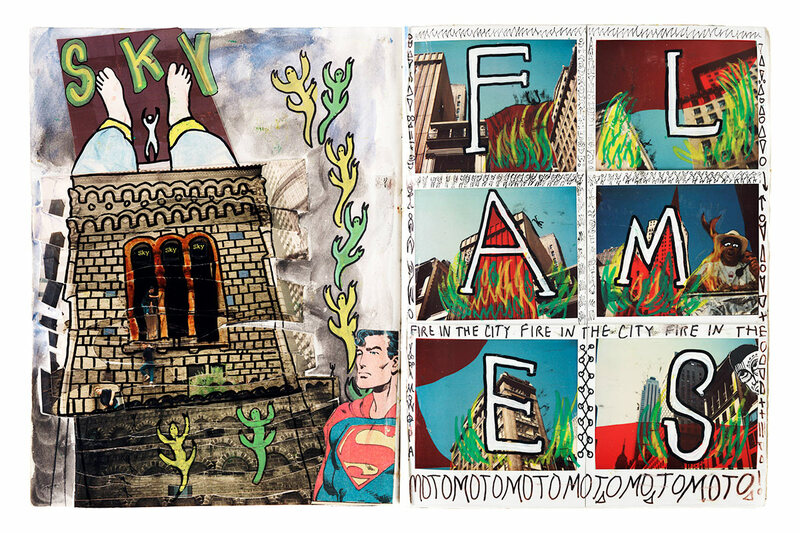 is a compilation of the late artist's seventeen scrapbooks.